Singapore’s delivery and concierge service honestbee has announced that it will “temporarily pause” its partnership with FairPrice for an unspecified period of time. 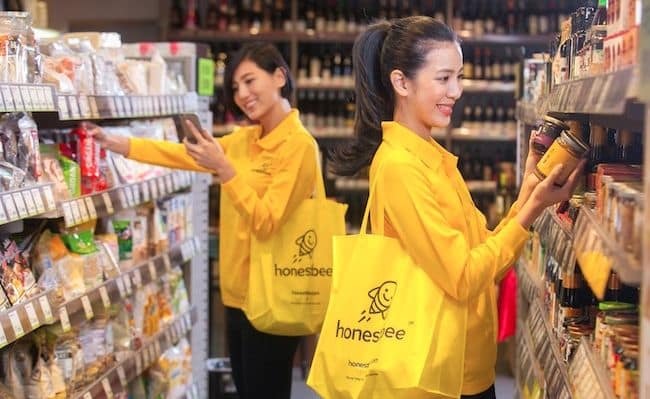 honestbee’s concierge shopper, also known as a “shopper bee”, however claims that FairPrice said that this would be a permanent arrangement. What’s clear however is that from today onwards, honestbee users can no longer buy FairPrice groceries via its platform. According to FairPrice, this decision is due to a “review of the existing operations and collaboration process“, which is a necessary step to continuously provide the best offerings for their customers. Despite the omission of FairPrice on the honestbee platform, customers can still order FairPrice goods on the supermarket’s website and mobile app. Similarly, honestbee users can still order their groceries on the platform from other retailers such as honestbee’s Fresh supermarket, U Stars and Le Petit Depot. According to a shopper bee, honestbee “barely gave [them] any notice” of the suspension. “For us shoppers, we started hearing this news from NTUC [FairPrice] since [the] night [of Jan 29], but only received an email [from honestbee at] around 1pm [on Jan 30],” the shopper told Channel NewsAsia. Another shopper, who has been working with honestbee for the past three years, told The Straits Times that she was shocked to be informed by a FairPrice staff that it was her last day, when she reported for work at a FairPrice outlet yesterday. In an email sent to concierge shoppers, honestbee said that all shopper bee slots will be made unavailable from January 31.
habitat by honestbee is the firm’s first brick-and-mortar retail store in Pasir Panjang, which recently opened in October 2018. As a form of compensation, honestbee will pay a nominal fee for slots that have already been taken up. “We are sensitive to the concerns our bees are facing, especially when this has happened close to the Chinese New Year holidays. Many of our bees — although are part-timers with us — have been a critical part of our family who have played a key role in our success,” said an honestbee spokesperson.